We will be hosting a dual tournament again this year! The courses we will be playing at are Suttton Creek Golf Club and Ambassador Golf Club respectively. The registration cost is $150/person and must be paid in full upon form submission. 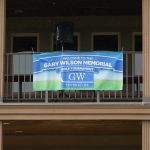 Tournaments will be held at Sutton Golf Club and Ambassador Golf Club with a shot gun start at 12PM sharp. If you do not have a PayPal account, please checkout via PayPal as a guest, we are also offering the ability to pay through e-Transfer this year as well. If you would like to register with Cash or Cheque please contact Heather Hall directly at 226.787.1045 or by the GW Contact Form. Dinner starts at 7pm and will be held at the Bunker located at the Fort (689 Texas Rd. Amherstburg). Join us for a live DJ, big raffles, and good times! 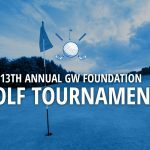 The full registration cost is $150 per golfer and a total of $600 for four golfers. Payments must be completed, in full, prior to playing in the event. After registration, you will receive an email on how to submit your payment.